There is currently much concern about our trees and woodlands. The terrible toll taken by Dutch elm disease has been followed by a string of further epidemics, most worryingly ash chalara – and there are more threats on the horizon. There is also a widely shared belief that our woods have been steadily disappearing over recent decades, either replanted with alien conifers or destroyed entirely in order to make way for farmland or development. But the present state of our trees needs to be examined critically, and from an historical as much as from a scientific perspective. For English tree populations have long been highly unnatural in character, shaped by economic and social as much as by environmental factors. 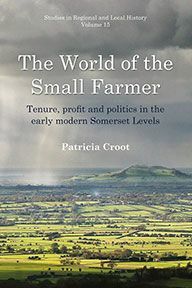 In reality, the recent history of trees and woods in England is more complex and less negative than we often assume and any narrative of decline and loss is overly simplistic. The numbers of trees and the extent and character of woodland have been in a state of flux for centuries. Research leaves no doubt, moreover, that arboreal ill health is nothing new. Levels of disease are certainly increasing but this is as much a consequence of changes in the way we treat trees – especially the decline in intensive management which has occurred over the last century and a half – as it is of the arrival of new diseases. And man, not nature, has shaped the essential character of rural tree populations, ensuring their dominance by just a few indigenous species and thus rendering them peculiarly vulnerable to invasive pests and diseases. 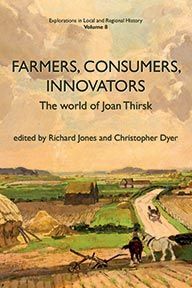 The messages from history are clear: we can and should plant our landscape with a wider palette, providing greater resilience in the face of future pathogens; and the most 'unnatural' and rigorously managed tree populations are also the healthiest. The results of an ambitious research project are here shaped into a richly detailed survey of English arboriculture over the last four centuries. 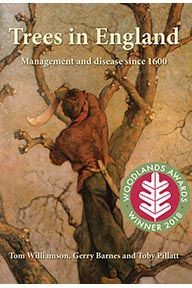 Trees in England will be essential reading not only for landscape historians but also for natural scientists, foresters and all those interested in the future of the countryside. Only by understanding the essentially human history of our trees and woods can we hope to protect and enhance them. Tom Williamson is Professor of Landscape History at the University of East Anglia. He has written widely on landscape archaeology, agricultural history, and the history of landscape design. He has extensive experience not only of archaeological and documentary research, but also of applying historical information in the conservation, restoration and interpretation of historic landscapes. Tom has worked on numerous occasions on legal cases, providing reports in rights of way and boundary disputes, and appearing in court as an expert witness. 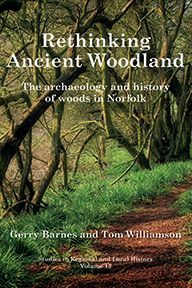 Gerry Barnes, MBE, served as Head of Environment at Norfolk County Council, and is now a researcher at the University of East Anglia, studying the history of trees and woodlands in eastern England. 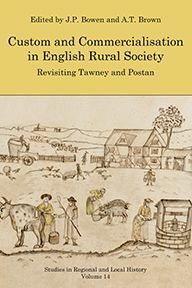 Toby Pillatt is a Research Associate in the Department of Archaeology at the University of Sheffield with a particular interest in human relationships with the natural world.